Iga Ueno"- Little Kyoto" SUBPAGE | All Japan Kyoto Association"
Iga City sits almost at the center of the area which is located in the northwestern part of Mie Prefecture, surrounded by mountains. The famous samurai lord, Takatora Todo, maintained this region and established a town in the neighborhood of the castle in the Edo period (1603-1868). Similar to Kyoto, the town of Iga followed the grid pattern. Visitors who have visited Kyoto will feel some essence of the old capital here. 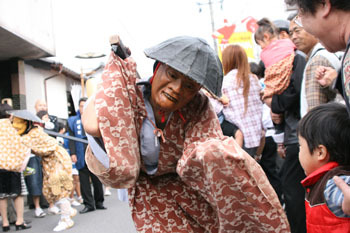 Probably, Iga Ueno is best known as the birthplace of Iga Ninja and its arts. 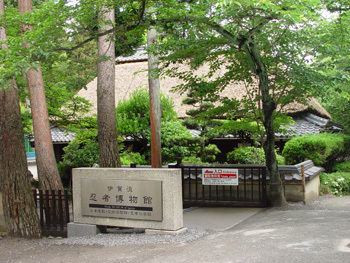 It is also where Basho Matsuo, a famous poet and traveler in the Edo period who produced a number of fine travel essays and poems during his travels, was born. Secret of Iga Ninja and their Ninja art are exhibited. The 30-meter high-raised stone wall is one of the best examples of its kind. 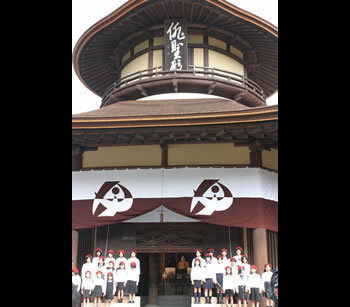 The castle is also known as Hakuho Castle. A wooden building in a unique design dedicated to Basho Matsuo, Japan’s greatest poet and traveler. Access A 5-min. walk from Ueno-shi Station on the Iga Tetsudo Train. 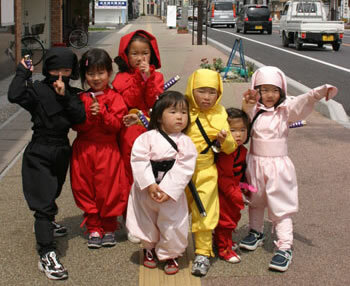 A variety of fun events related to Ninja will be held around Ueno Park and the city. 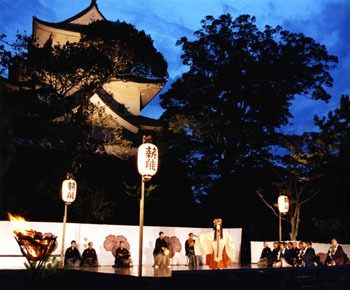 A traditional Noh theatre performance held on the beautiful autumn full moon night every year. Noh performance under the light of the full moon is solemn and magical. On the day of Basho’s death anniversary, a ceremony and events such as the National Haiku Poetry Competition and visiting the graveyard of Basho are held. Ueno Tenjin Festival, with a 400-year history, is designated as a UNESCO Intangible Cultural Heritage and Japan’s Important Intangible Cultural Property. Massive floats and a demon procession goes around the city. 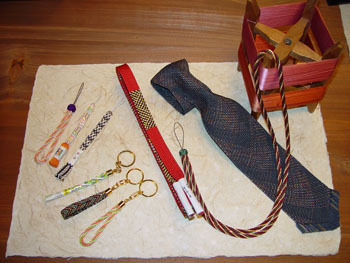 A sophisticated color combination of traditional Japanese kumihimo braiding is incorporated into modern items such as ties, straps for mobile phones, and more. 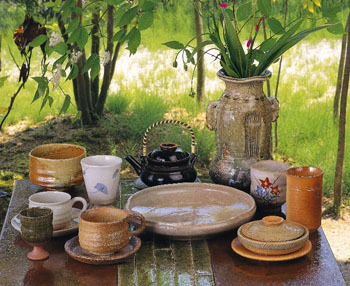 Mainly focusing on tea ceremony utensils, Iga-yaki ceramics are natural, bold and highly resistant to fires and heat. 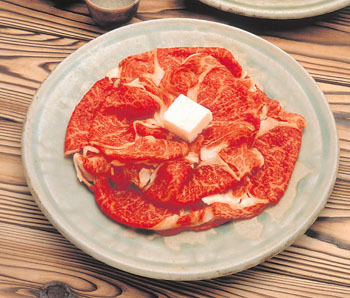 Blessed with a natural environment and good water, cattle raised in Iga Ueno are highly valued as tasty beef. 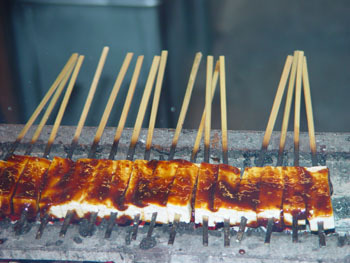 Slices of skewered and lightly grilled tofu are eaten with a miso based sauce and some spice. It is said that Iga Ninja carried these extremely hard cookies with them. Every piece is baked by hand. 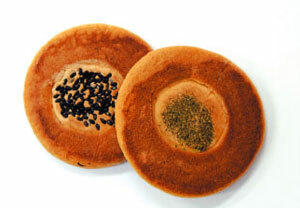 Their crispy aroma, sweet flavor and hard texture makes these traditional cookies of Iga famous.